A Cummins Turbodiesel Tundra could be in the works for 2016. According to WardsAuto, Toyota’s fullsize pickup is likely to go the diesel route within the next two years. Ward’s speculates that there will be a Cummins turbodiesel Tundra available when the next generation is unveiled for the 2016 model year. Furthermore, it is very likely that a Cummins turbodiesel Tundra would simply stand as a placeholder until Toyota’s in-house diesel engine reaches the final stages of development. 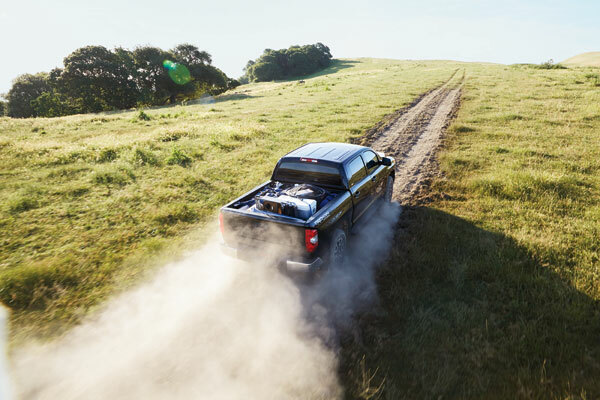 The 2016 Toyota Tundra will likely share the same 5.0-liter Cummins diesel engine that will be found in the next generation of Nissan’s Titan fullsize pickup truck. The Cummins turbodiesel Tundra will be part of the automaker’s effort to comply with CAFE regulations by 2025 and the increasing popularity of diesel-engined trucks in the United States. Toyota had been working on its own turbodiesel engine in 2008 when the recession put the project on the back burner. The rebound of the auto industry in the last year, along with a renewed interest in more fuel-efficient, diesel-powered options, may make Toyota’s timing with the next Tundra rather fortuitous. When Automotive News writer Richard Truett made a comment to Toyota VP Bob Carter during the Chicago Auto Show about a Cummins turbodiesel Tundra, Carter responded by saying, “You have good sources.” With a long ways to go until the 2016 model year arrives, this might be the closest we get to a confirmation for a while. Let us know: would you be interested in driving a next-gen Tundra with a diesel engine?